Ladies Kiss Trendy T-shirt, available with gold or silver sparkle design in 4 color options and 5 size options. 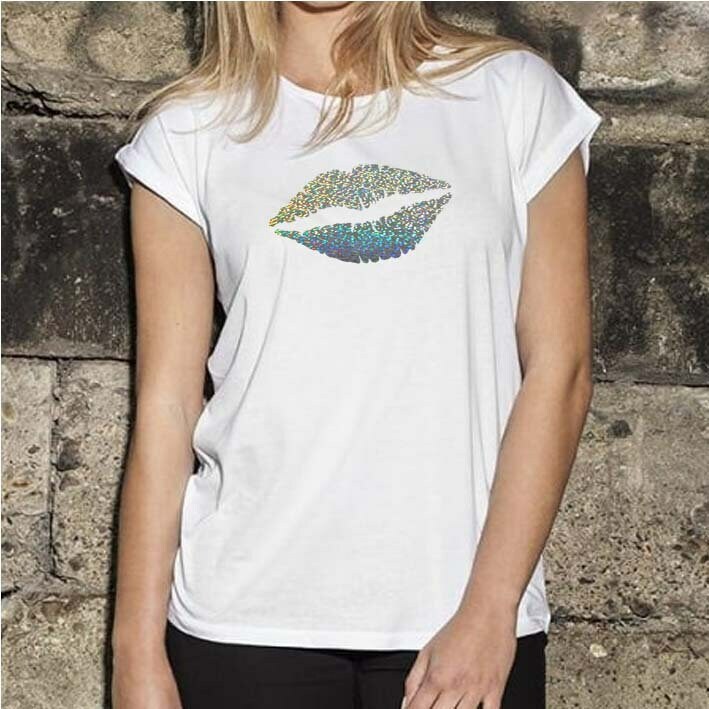 An original statement design Tee. 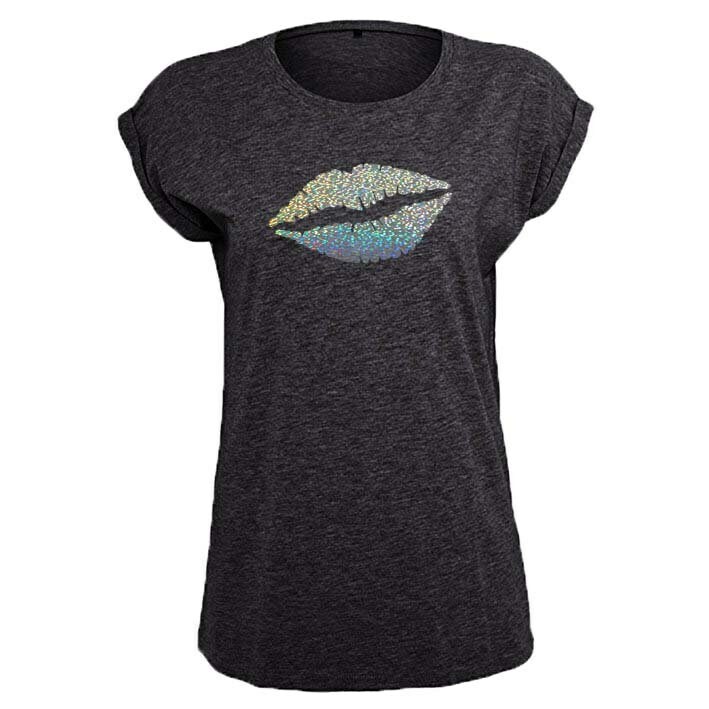 A trendy t-shirt that looks great with jeans. It is made from cotton and polyester and has a round neckline, small rib cuff and an extended shoulder with turn up. 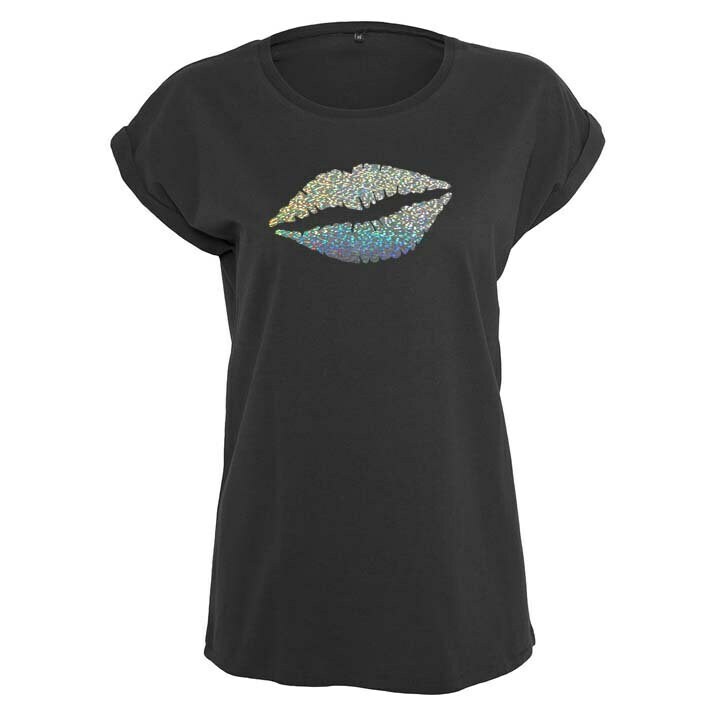 This t-shirt is also longer in the length and available in 4 colors. Please include your initials and motif color option of either Silver or Gold Sparkle with your order. Black/White: 70% Cotton, 30% Polyester. Heather Grey: 90% Cotton, 10% Viscose. The T-shirt is printed with high quality heat vinyl using a professional heat press, and will not crack, peel or fade. The dimensions of the T-shirt image are approximately 210mm wide.